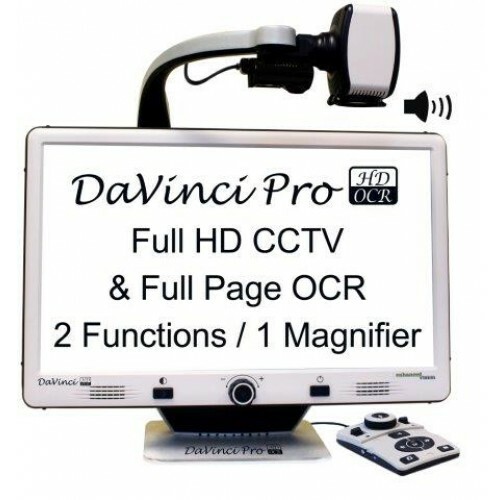 DaVinci Pro is a high performance desktop video magnifier (CCTV), featuring a Full HD Sony 1080p 3-in-1 camera and Full Page Text-to-Speech (OCR). With Full HD you will experience high definition color and contrast giving you a beautiful, crystal clear picture and vibrant colors. Experience the joy of reading with our new text-to-speech feature. DaVinci Pro will read any printed text aloud with the push of a button. The DaVinci Pro Sony® HD camera displays crystal clear images in vibrant color and contrast, resulting in the brightest white and deepest black. 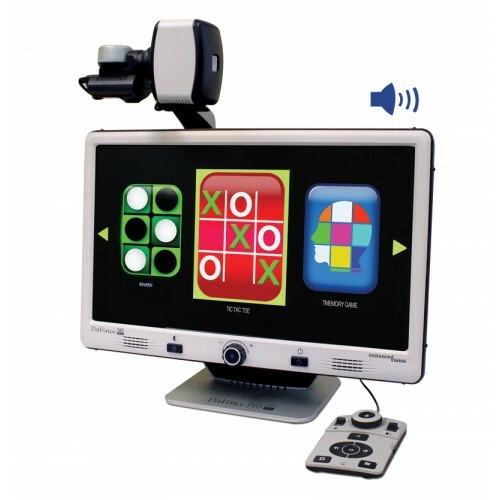 DaVinci Pro’s high resolution LCD produces maximum levels of picture detail for a clear, bold display. Large field of view allows you to see more on the screen. Give your tired eyes a rest with our text-to-speech (OCR) feature. Let DaVinci Pro read your favorite article or book aloud. 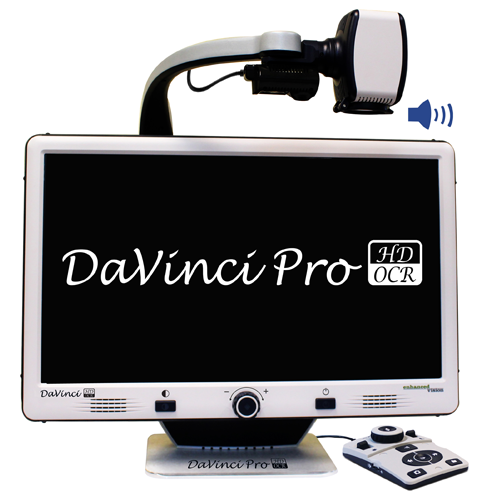 Simply place your printed text under the DaVinci Pro camera and press a button; DaVinci Pro will begin reading what is on the screen within a few seconds. Choose a male or female voice and use the headphone port to enjoy this feature in private. Many different languages are available. 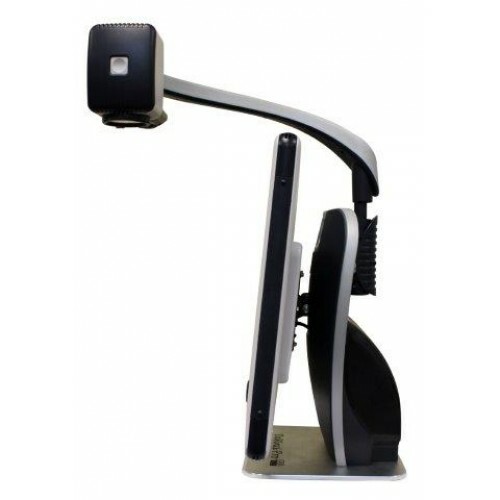 DaVinci Pro can be used as a video magnifier to see near, far and everything in between. You may also use the self-viewing camera position, like a mirror, for applying make-up or other personal grooming tasks. With DaVinci, you’ll have the freedom to read, write, view presentations, whiteboards, and work on crafts and hobbies at work, school or at home.